A previous recipient of the Robert Stempel Award, Joseph L. Falk returns this year as the master of ceremonies for the 2016 Path Awards Luncheon. Falk is a policy consultant with the law firm of Akerman LLP and a licensed mortgage originator. The firm employs over 600 attorneys and consultants through 20 offices, including Florida, New York and Washington D.C. Prior to joining Akerman, he was president of Metropolitan Mortgage Company. MMC was part of a diversified portfolio of companies owned by the Falk family. These related financial services firms included mortgage lending and servicing, insurance company and insurance agency assets. MMC was sold to Transamerica Corporation in 1997. Falk is a past president (2001-2002) and legislative chairman of the National Association of Mortgage Brokers. NAMB represents the national interests of mortgage professionals in regulatory, educational, government and industry affairs. 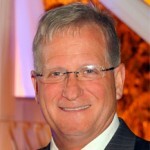 He was president of the Florida Association of Mortgage Professionals in 1995. Falk is the author of the NAMB’s “Model State Statute Initiative for the Licensing and Education of All Originators.” This effort led to the passage of the S.A.F.E. Licensing Act passed in 2008. He has testified before Congress—both the U.S. House and the U.S. Senate—on how to improve the regulatory structure governing the mortgage industry. Falk was a member of the Federal Reserve Board’s Consumer Advisory Council from 2007-2009. Falk currently teaches federal and state regulatory continuing education classes in Florida. Falk has been active in the local community, as well. He was a board member of the Bakehouse Art Complex and has served as president and board member of Beth David Jewish Congregation. He was also a member of the board of the national Gay and Lesbian Victory Fund. The Victory Fund’s mission is to increase the number of LGBT elected and appointed officials. He is on the board of SAVE, a South Florida based LGBT advocacy organization. In 2014, he was appointed by President Obama as a member of the J. William Fulbright Foreign Scholarship Board. Through the Department of State, this board oversees the worldwide Fulbright Program. His appointment runs through 2016. Falk is a Phi Beta Kappa graduate of Franklin and Marshall College in 1976 and received his MBA from the Harvard Business School in 1978. He is an avid amateur fine art photographer and enjoys tribal adventure travel. Falk now resides in Miami, Florida.